Rider Alert: ODOT crews have begun clearing the McKenzie Highway and repairing damage after last year’s fire. The McKenzie Highway is strictly closed to all users Monday through Thursday and when “Extreme Danger” signs are posted. Find more information here. How many rides take you somewhere that’s like nothing you’ve ever seen (really, no hype)? 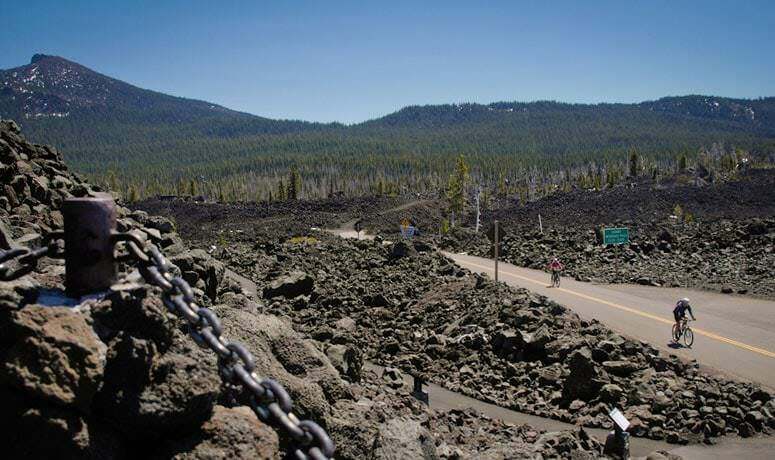 McKenzie Pass is not only the most spectacular ride in Central Oregon, it also leads you to a lava-rock moonscape at the top that spreads out before you for miles. It’s stark and barren. It’s awe-inspiring. It’s unlike anything you’ll probably ever encounter on a bike ride again. But there’s more to this pass than the top. 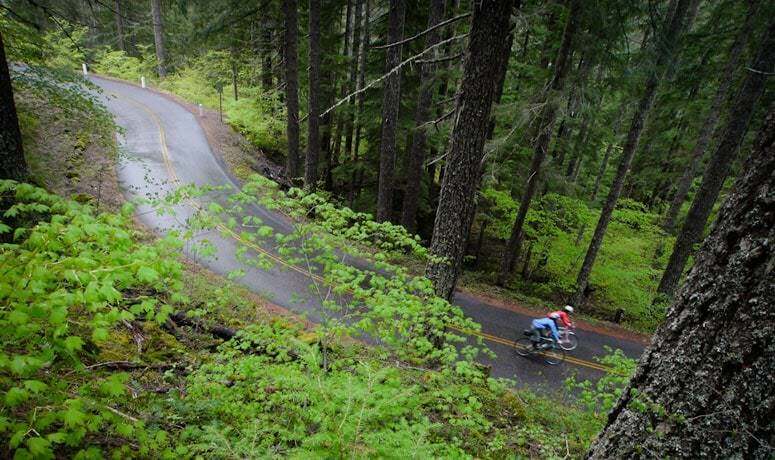 It also showcases forests on both the east and west sides of the Cascades – and after you’ve pedaled through them you’ll know how different they are on the “dry side” and the “wet side.” It also provides at least one lung-expanding climb – two if you do the whole thing out-and-back. The official route begins at the Village Green Park in the center of Sisters. The vast majority of the route is on Oregon Route 242 (selected to be on the U.S. Register of Historic Places, March 2011). Assuming you start in Sisters, you’ll have 8 miles of warmup as you head west past hay meadows and into the forest – a gently rising, mostly straight road. Then you’ll take a 90-degree turn at McGregor’s Curve, and the climb is on. 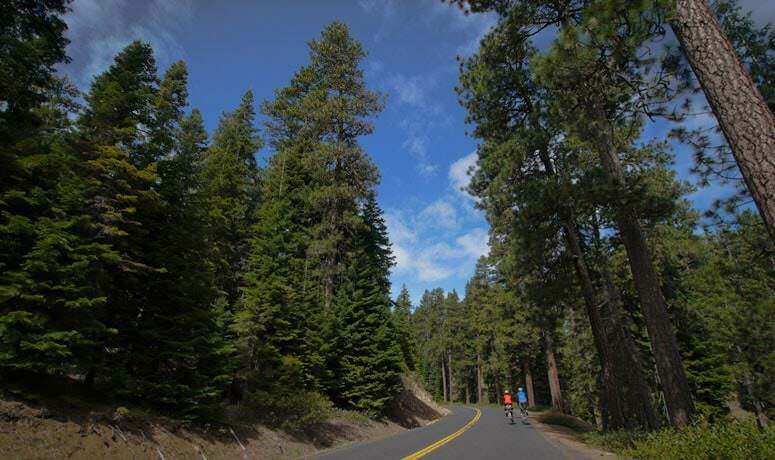 The main ascent is 5 miles, and you’ll want to settle into a pedaling rhythm as you take deep, pine-scented breaths. The road follows an 1860s wagon route, emerging from the forest at Windy Point, where you’ll get a great view of Mt. Washington and your first look at the vast, 2,000-year-old lava flow. Stop to process it all – and then keep going, because it gets better. The ascent gentles from here, and after a few more miles you’ll find yourself riding serpentine between lava-rock walls just before you reach the summit. And the summit reveals another unique aspect of this ride: the lava-rock-constructed Dee Wright Observatory, which provides 360-degree views of mountains, buttes and other topography – framed by windows inside the rocky structure. Make sure to go up on top of the building, too, to experience the more expansive sensation that view provides. The 25-mile, 4,000-foot descent to Highway 126 snakes down exhilarating switchbacks to the dense, verdant Cascadian forests and rushes out over the McKenzie River. This dramatic transition from the east side of the Cascades showcases the diversity of the natural environment and defines the uniqueness of this Bikeway. If you want to ride the Bikeway in both directions, be prepared for the ascent from Highway 126 to be twice as much elevation gain, and much longer. But you’ve already seen its beauty, so who can blame you for wanting to experience the whole thing again, from a different direction? Now for some logistics. Restrooms and potable water can be found at the Village Green Park in Sisters and at the McKenzie Bridge store, on Highway 126 a few miles west of the junction with 242. There are restrooms at the summit, and also lovely campgrounds on either side of the route — perfect for a great night out under the stars. Horse Creek Lodge, McKenzie River Mountain Resort and Cog Wild operate shuttles in the area. 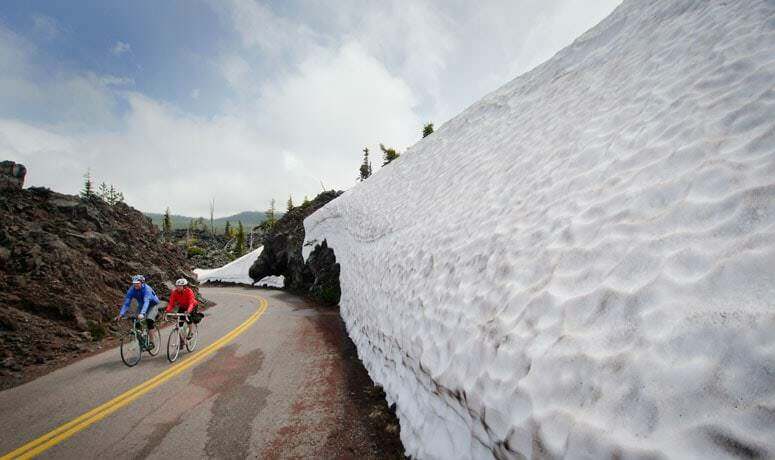 Route note: McKenzie Pass is a well-known secret among the riding community. Why? Because at certain times of the year you can ride this road when cars can’t drive it. 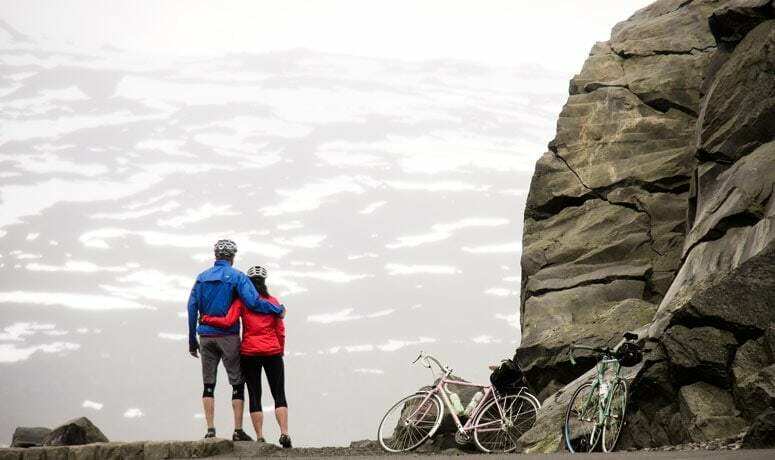 The pass is only open during the summer/fall season, but it’s often navigable by bike long before it’s officially open. Check with the Eurosport bike shops in Sisters for current access info, and check www.tripcheck.com for current road closures. 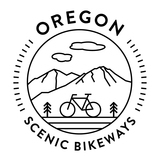 For more to see and do near this Scenic Bikeway, check out Sisters Country, the McKenzie River Chamber of Commerce or Visit Central Oregon. – Sisters Creekside Campground in Sisters offers camping, including hiker-biker sites. – The scenic Proxy Falls offers restrooms. – Camping and restroom facilities are available at Cold Springs Campground (4 miles west of Sisters), Scott Lake Campground (near McKenzie Bridge), Alder Springs Campground (12 miles east of McKenzie Bridge), and Limberlost Campground (5 miles east of McKenzie Bridge).